1421 Voyages of Zheng He Video Slot: Spin and Win in Any of 4 Free Games with Win Multipliers! 1421 Voyages of Zhen He online slot by IGT showcases the famed Chinese Admiral who rose to prominence as legendary mariner and explorer during the early Ming Dynasty. Naturally, the image of Admiral Zheng He comes across the reels as the highest paying symbol. The Ship and Bell icons award generous pays as well. 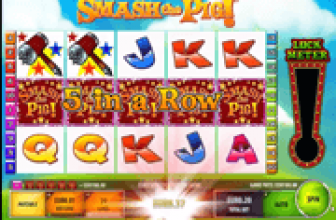 Between those three symbols, wins ranging from 20 to 400 coins are correspondingly awarded whenever three, four, or five identical symbols land as matched combinations in any of the 88-payline configurations. Two other symbols are conventionally significant, the Chinese Gold Coin and the Map image. The Gold Coin represents the Wild Symbol that can pose as substitute to any regular-paying icon. The totem of a Map, illustrates the regions explored by the 1421 Voyages of Admiral Zheng He, whilst serving as Scatter Symbol that furnishes entry to the Free Games. The Gold Coin Wild appears in any reel, qualified to stand in as alternative icon to any symbol except the Map Scatter. Identical Symbols though must be positioned in the same payline as the substituting Gold Coin Wild. Three, four, or five Gold Coin Wilds lined up in a payline starting from the leftmost reel is also a winning combination. 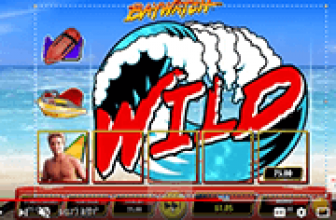 Coin rewards of 50, 200, or 888, is awarded on the longest winning Wild combination in any payline. The Cup Feature – A Pick and Click Game in which players may win big or gain nothing. At the start of this bonus segment, a Golden Ball is hidden in one of three (3) upside down cups. After the Cups shuffle positions, bonus game players will then deduce which of the inverted cups will reveal the Golden Ball. A correct guess entitles a player to Bonus Wins equivalent to 102x the current Total Bet. A wrong guess will not result to any bonus prize. 20 Free Spins played on bonus reels in which a random factor of 3x, 2x, or 1x the bet per line, increases the payout value of all bonus wins. 15 Free Spins played on bonus reels in which a random factor of 5x, 2x, or 1x the bet per line increases the payout value of all bonus wins. 10 Free Spins played on bonus reels in which a random factor of 8x, 2x, or 1x the bet per line increases the payout value of all bonus wins. After every bonus spin, the current multiplier in display will multiply all free-spin wins. An even greater attribute of IGT's 1421 Voyages Bonus Games is that any round can be re-triggered up to 20 times, or up to a maximum of 400 spins in a single round of free games. 1421 Voyages of Zheng He - Collect Awesome Wins via Any of Four Bonus Game Choices! 1421 Voyages of Zheng He is an IGT 88-payline slot that could very well bring good fortune via a Pick and Click Bonus Game that awards 102x the Total Bet or via a round of free games. 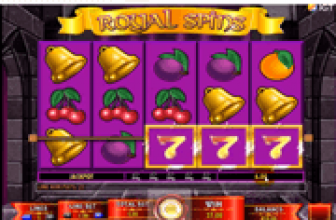 All Free-Spins Bonus Games featured as choices have three (3) varying win-multipliers that apply to all bonus wins.